US Soccer A License, National Staff Coach & Instructor/Coach Educator. Extensive experience at every level of US Soccer. Coaching background ranging from Youth to Professional. Highly regarded for his ability to develop players and cultivate talent, respected for his tactical acumen and dedication to the growth of soccer in the US. Tom’s proven development curriculum is among the best in the country. Our player development model is supported by over 55 players whom have become professionals while moving up the youth ranks under Durkin, including over 20 US National Team players at the U17, U20 and senior Men’s National Team levels. Players such as Michael Parkhurst, Eddie Johnson, Heath Pearce, DaMarcus Beasley, and Aron Jóhannsson were developed under Durkin. 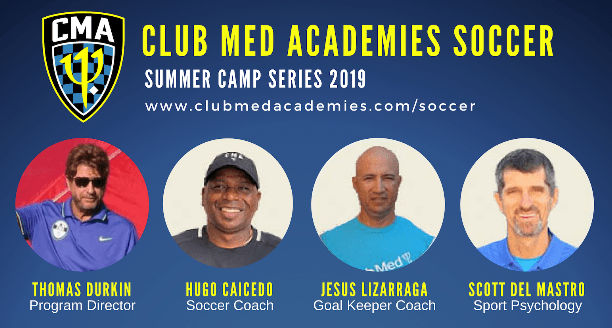 Come train with the former US U17 National Team and MLS coach and the professional staff at Club Med Academies! Tom has a unique perspective on US Soccer having coached or directed programs with The Tampa Bay Mutiny (MLS), Boston Breakers (NWSL), and Bradenton Academics (PDL), NCAA Rutgers and Northeastern Universities DI & DIII, NJCAA Union and Richland College, US Soccer U17 National team, US Soccer Development Academy League and Directing the North Texas and Eastern Pennsylvania State Associations. Tom comes to CMA from the Boston area where he was Club Wide Director and Development Aca demy Coach for New England Futbol Club (NEFC) and is happy to return to the academy platform in Florida. Tom was the Architect of IMG Soccer Academy, designing a comprehensive player development plan that produced 52 professionals and countless NCAA Division I Athletes over his 14 year tenure and is anxious to repeat or surpass the record of success with CMA Soccer. 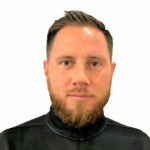 Tom has Coaching Certifications from FIFA World Youth Football Academy, The Irish Football Association (FAI), The Royal Dutch Football Federation (KNVB) and US Soccer Instructor Badge. Eric is US Soccer “A” License Coach. Although young in the eyes of the world, Eric is an innovator and has carved an impressive path across the coaching ranks with his work in the MLS Red Bull Academy, in the professional ranks with the Tampa Bay Rowdies and serving as Palm Beach United Academy Director. 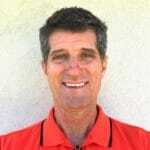 Eric most recently served as the USDA Boys Director for Palm Beach Predators. He was the Girls Varsity Coach at Heritage High school. 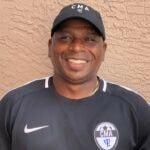 Eric will also work across all age groups as the top Assistant Coach for the USL2 Treasure Coast Tritons. Jesus is considered the areas top Goalkeeping instructor. With over 20 years of experience spanning Club, High School and Amateur soccer he has built his own business providing personal training for the community’s top Keepers. A consummate student of the game, Jesus holds the NSCAA National Diploma and has embarked on the US Soccer Coach Education pathway. A native of Peru, coach Lizzarraga grew up with the game becoming an outstanding Goalkeeper by default when a teammate went down injured. His perspective on the position has been enhanced by his overall understanding of the game. Brett is responsible for all physical preparation and development of the CMA Soccer Players. 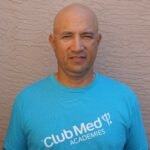 He is a certified instructor with a Master Degree in Sports Science from UCF. 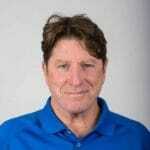 Scott Del Mastro has trained professional and junior athletes on U.S. and World circuits for more that 20 years. 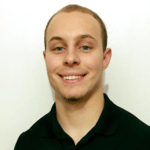 Having earned a Master’s degree in Sport Psychology, Scott believes in developing the complete player and person on and off of the field, court or course.